Dating in Bali should not be taken too seriously. Bali is the best place to fall in love. 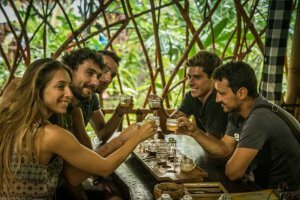 Why you should not take dating in Bali too seriously? 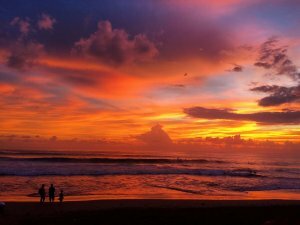 Why is Bali the perfect place for falling in love? Look who’s talking right? But let’s just say I am either lucky or ignorant. Any of the two work in my favour. Bali is one of the best places to fall in love. It has just about everything you need for the perfect love story. A laid back stress free vibe, idyllic beaches, great surfing, sunsets with coconut followed by bintang(s), partying until you drop, friendly locals and a great variety of interesting people from all over the world. Everything is set out for you. What else would you need to fall in love, right? So you come here, you start exploring the island, you get stoked with the surfing, you meet people, make new friends, start feeling like you know the place and then the magic thing happens: you fall in love. And you just love it. Surfing, friends, your little romance. You want to stay here forever. Why you shoud not take dating in Bali too seriously? But remember you are here on holiday! And when you are on holiday, everything is a-ma-zing. Life, everyday life, routine (even in Bali) has its bad sides. But you will not experience these as let me remind you again: you are here on holiday! Bali is a party island and everybody here is also on holiday with you (or at least the people you will be spending most time with). So when you go back to your country, your vacation is over and reality hits back: this is when problems usually start. Because let’s be honest, long distance relations do not work. But let’s not be too pessimistic, there are plenty of exceptions that prove the rule and who knows you might meet your one and only in Bali?